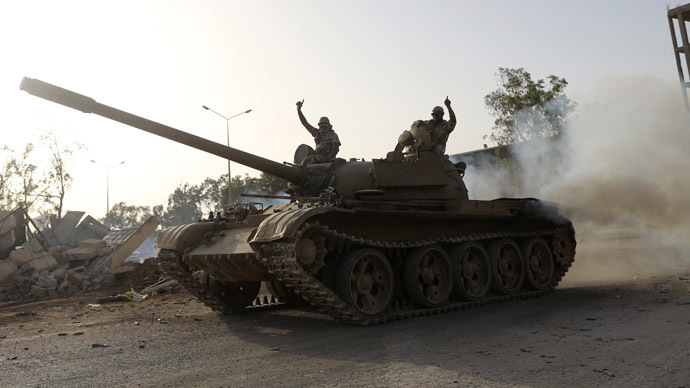 Jihadist fighters from the Fajr Libya (Libyan Dawn) coalition said Saturday they have “seized Tripoli airport” after several weeks of clashes with nationalist militia men. 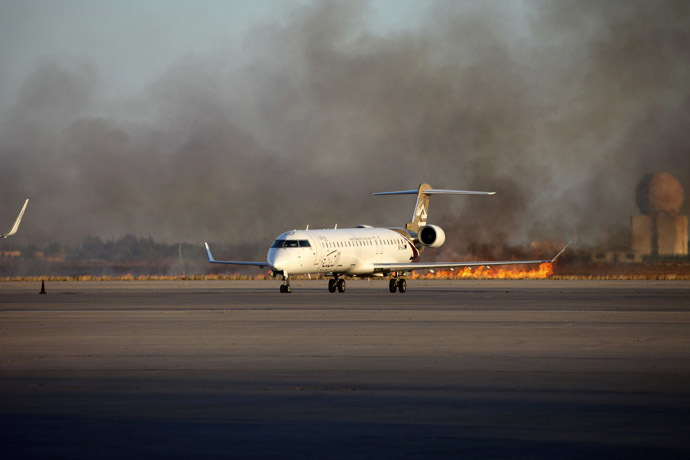 There is still no independent confirmation that the airport has changed hands but if proved true it would be a major setback for the nationalist fighters from Zintan west of Tripoli who have controlled the airport since the fall of Muammar Gaddafi in 2011. 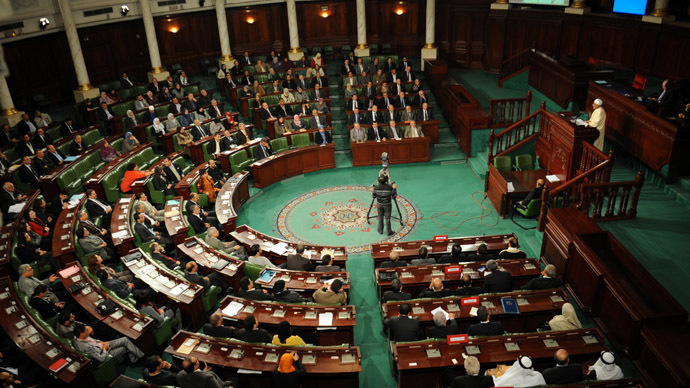 A statement on An-Nabaa television, which supports the Islamists cause, said that “Fajr Libya announces that it totally controls Tripoli international airport”. However, after weeks of heavy fighting the airport is far from usable; in July there was a huge fire at an oil depot near the airport, which burnt out of control for days. 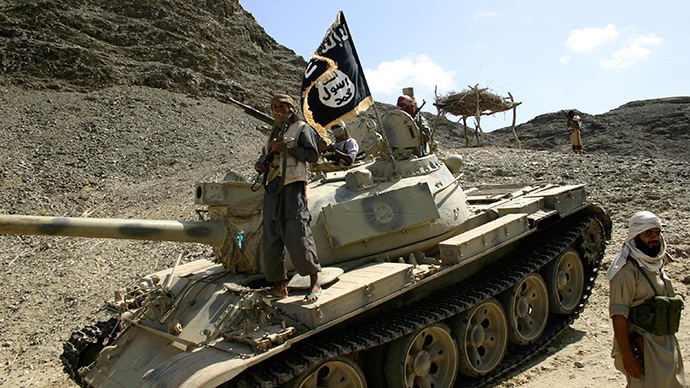 Earlier Saturday, men from the Islamic coalition, which partly consists of fighters from Misrata, said they had taken a bridge and a military base nearby and were advancing on the airport. The coalition organized a visit to the army base Thursday to prove they had taken it. 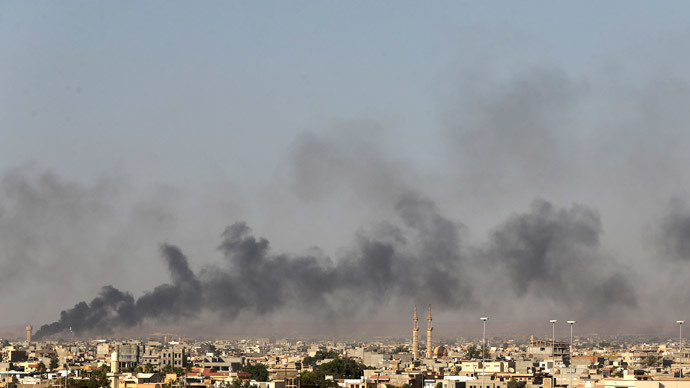 But a spokesman for Fajr Libya, Moahamed al-Gharini, said Saturday that they had been hit on Friday night by an airstrike from unidentified warplanes, which killed ten of their soldiers and wounded a further 20. 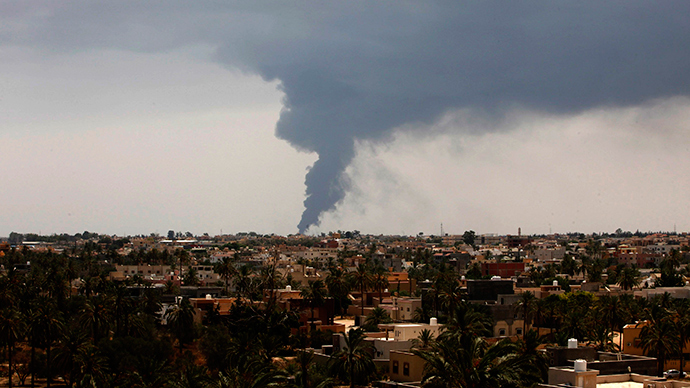 The embattled Libyan government, holed in Tobruk 1,600 km from Tripoli near the Egyptian border, has not been able to shed any light on where the two planes might have come from and nor have the Islamists themselves. Although the purpose of the raid was clearly to relive pressure on the Zintan-based nationalists who have been holding out at the airport. 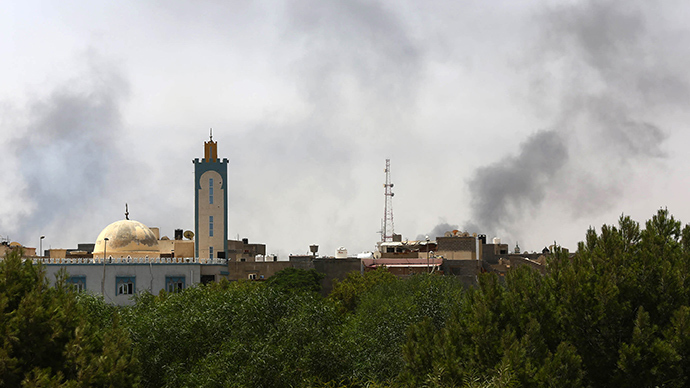 Allies of the rogue general Khalifa Haftar, a nationalist based in Benghazi in the east of Libya who is hostile to the Islamists, claimed to be behind the attack but most experts doubt his forces are capable of carrying out such an attack out on their own. Hatfar’s militia do control some remote airbases but Libyan aircraft are not capable of carrying out night time attacks or air to air refueling. A Libyan air force unit which has so far stayed neutral and not joined Haftar’s offensive said the planes were foreign and not Libyan. Some have suggested Western intervention but the US, Italy and France, which have capable aircraft within striking distance, have denied involvement. Egypt is known to be hostile to the Islamists and does have capable aircraft within striking distance; Cairo has mysteriously refused to comment. Other sources say Haftar may have acquired Sukhoi jets from Russia and is paying mercenaries to fly them as was the case in Iraq two months ago.